The microphone worked beautifully until the battery died. I didn’t notice because the camera microphone kept the sound levels active on the video screen. Later, while transcribing our conversation, I was suddenly inundated with sounds of a noisy motorcycle whose owner thought it was cool to rev the engine for no apparent reason; also recorded: cars whizzing down the nearby parkway, the conversation of people sitting nearby and the usual noises of life we don’t notice until we attempt to transcribe a recorded conversation. After Ben moved to Texas with his cat named Abraham, I could no longer hear what he was saying. My only option was to reschedule and hope he did not mind telling me his story a second time. He was happy to oblige, but the rescheduling was delayed when a publisher offered me a contract making it necessary to put my NOLA articles on the back burner. After nine months of working with the publisher to prepare the manuscript for publication, followed by three months of non-stop marketing upon its release, I was able to come up for air. Once again I meet with Ben, whose Bible study had evolved into a small church that shares a building with Maple Street Chiropractic at 7605 Maple Street, New Orleans. Ben spent most of his youth in a non-denominational church of which his grandparents were founding members. While Ben’s peers entertained themselves riding bikes and playing games, Ben’s favorite past time was playing church. He built churches with Legos and put his Walkman speakers in the church so his congregation of stuffed animals and pet cats could have a time of praise and worship before he preached the gospel to them. Two years later, Ben learned the realities of human nature and ministry. 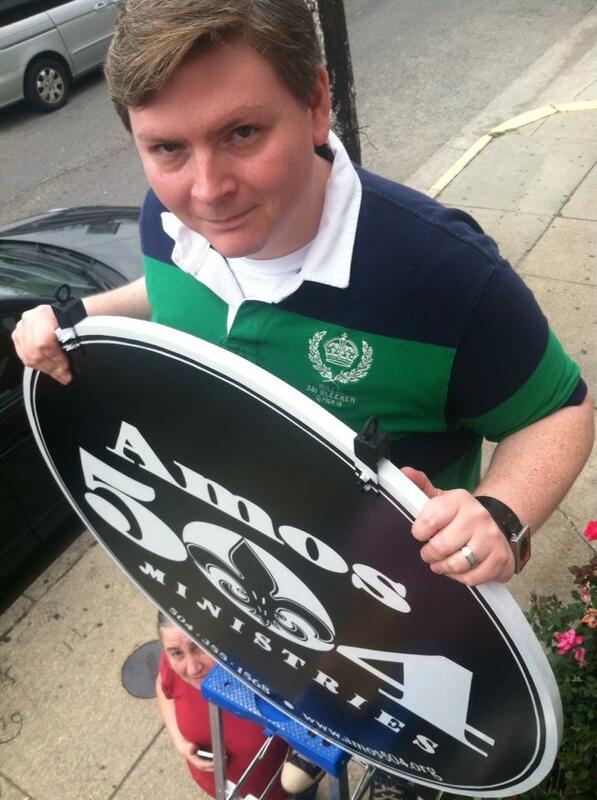 A church split resulted in the pastor, Ben’s father who was head of the deacon board, and Ben’s mother the youth pastor, being escorted off of the church property. The church Ben’s grandparents had labored to build dwindled from 400 members to 20 leaving his family hurt and disillusioned. His parents abandoned organized religion for several years, but continued to meet in home Bible studies with their rejected pastor while their wounded hearts healed. During this time, they were careful to maintain a godly attitude and taught Ben the unfortunate circumstances were produced by misunderstandings not bad people. Ben enjoyed the intimate environment of the home Bible study throughout middle school and into his high school years. While Ben was in high school, Rev. Vincent returned to pastoral ministry at a Christian Missionary Alliance church in Sulphur, Louisiana. Ben and his grandmother began attending the church. As high school graduation approached he entertained the idea of becoming a pastor. His family loved ministers, but did not want one in the family and having witnessed the difficulties of pastoral ministry, Ben decided to enroll in McNeese University as a journalism major. During his sophomore year at college Ben questioned what he believed and why he believed it. The nagging questions started a journey of discovery. Ben concluded that he could not deny Jesus, so he researched Christianity. He read the history and beliefs of the Catholic Church, then the Orthodox Church, and the birth of the protestant church. He attended Methodist, Presbyterian, and Baptist churches. Finally, a friend invited him to attend Glad Tidings Assembly of God. During the service Ben sensed that he belonged at Glad Tidings. Growing up with a strong Oneness background presented a quandary. Oneness did not believe in the trinity as the Assemblies of God did, and he’d been warned to beware of the Trinitarians. Ben researched the subject and consulted pastors. He concluded that Oneness and the Assembly of God were two sides of the same coin. Concluding that God is a mystery we can’t fully understand he found peace in attending the Assembly of God church. As Ben’s senior year approached, he realized that he didn’t want to be a journalist. He was interning at the local paper and didn’t like the daily grind of producing a newspaper. He had been told many times he should be a lawyer. With his background in communications, he felt transitioning to study law was a natural progression. He chose estate planning, so he could incorporate his love for ministry. As an estate planner, he would be working with people who were diagnosed with incurable diseases or had just lost someone. Ben saw it as a practical way to minister to people going through a difficult time. He also saw it as a way for him to be in ministry without becoming a pastor. That summer Ben went on a road trip to visit all of the law schools in Louisiana. The trip ended in New Orleans. That evening, as he stood on the balcony of his hotel room enjoying the view of New Orleans, he felt a strong impression that he would live in New Orleans. He believed that impression was God’s confirmation that he should attend Loyola’s School of Law. Ben scored ten points better on the LSAT then he did in the practice test. The extra ten points gave him a full ride scholarship into law school. He had finished mailing the applications for the law schools he had visited in Louisiana when he received a letter from Baylor University offering to waive his application fee if he would send them an application. He did. When letters of acceptance from various colleges began arriving, Ben decided to keep all of his options open and visit Baylor before he made a decision. He drove to Waco, Texas with his parents. They were impressed with the new beautiful law school and warm loving environment. When Baylor gave him a full scholarship, he returned home conflicted. Ben asked his parents to fast and pray with him for direction. He had planned to attend Loyola, but Baylor was a Christian school and a top tier ranked law school with a 99.9% passage rate of the bar. During a personal devotion, Ben read the story of Abraham and Lot. The time had come for the patriarch and his nephew to separate. Lot looked to the east and chose the well watered beautiful city of Sodom. Abraham went west to a barren dry land. Ben felt that he was at a similar crossroads, even the geography was similar. To the east of Lake Charles was the well watered beautiful city of New Orleans, to the west, Waco, a tiny dot in a barren dry land. Ben felt a strong impression that he should go west. The next morning his parents agreed with his decision giving Ben the peace he needed. Ben packed his things, and his cat named Abraham to go west. Ben attended an Assembly of God church on his first Sunday in Waco. The membership consisted of either elderly or young married with kids. Ben didn’t see any college age members. After the service, he chatted with the pastor. “Thank you so much for coming. I’m glad you are here, but we don’t have anything to offer you at this time. I suggest you try Highland Baptist Church,” said the pastor. Ben asked his friends at school if anyone knew how to get to Highland. Amanda said, “That’s where I go to church. It’s on Maple Street. You can ride with me.” Ben liked Highland. The pastor preached an excellent message. The people were warm and friendly. Their college Sunday School class had 900 students. He was grateful that the pastor of the Assembly of God church had referred him to Highland. By the end of his first year at Baylor, Ben questioned if he wanted to pursue law. “My first year at law school was the most traumatic, horrible, terrifying experience of my life. 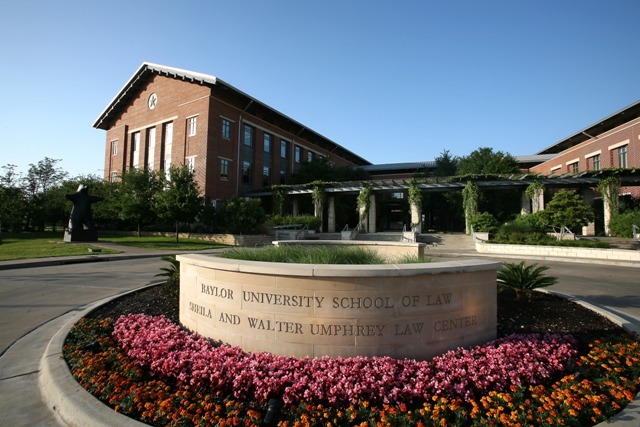 Law school is tough and Baylor took pride in being the Marine Corps of law schools. It was a rough year,” said Ben. Ben thought his questions about becoming a lawyer were resolved when he attended a conference in New Orleans with his family and stayed at the Ritz-Carlton. He enjoyed the luxurious atmosphere of the Ritz. While swimming in the resistance pool, he decided to pursue law and make wealth his goal so he could buy a mansion and put a resistance pool in it. He never wanted to feel disconnected from God again and pleaded with God to keep him out of the wilderness. He felt a strong impression to write a check. Ben opened his checkbook, but did not know whom to write the check to, so he made it out to God. Lacking the funds to cover the check he folded it and tucked it in the back of his wallet. As Christmas approached, attending seminary filled Ben’s thoughts. Then a young lady he had been dating visited him during the Christmas holidays. He could not escape the feeling that she would be the perfect wife for a lawyer, but not a man pursuing the call of God. He knew that he needed to end their relationship, but was reluctant to abandon a woman he had been dating for three and a half years. After much prayer, he decided to end the relationship when he returned home for spring break. His first night home, Ben invited his girlfriend to a crawfish boil. While they peeled crawfish Ben said, “I have something I need to tell you.” His girlfriend interrupted, “I have something I need to tell you too. God is telling me that we need to break up.” Even though it was hard to say good-bye, Ben was relieved by the mutual and amicable end to their relationship. He knew God had intervened and received it as a sign that he should attend seminary. At the end of the summer, Ben drove to the bank to deposit his final paycheck. Wondering if he had wasted his summer, he asked God what he was supposed to learn. Ben remembered the check he had written when he repented for choosing to pursue money instead of God. He withdrew the check from his wallet. The check was the exact amount of money to the penny he had earned that summer. Since God had already claimed the money, he spilt it between his church in Lake Charles and the church he attended in Waco. The experience taught Ben that he knew how to discern God’s voice. Ben felt strongly he should attend the Assemblies of God Theological Seminary in Springfield, Missouri. He submitted an application. Being awarded a full scholarship guaranteed his move to Springfield after he graduated from law school. The day after taking the Texas Bar Exam Ben loaded his belongings into a U-Haul and drove to Missouri. Two weeks later he began seminary. He loved seminary. He found healing from insecurities and frustrations he had developed while attending law school. He also developed close relationships with professors and fellow students. But he remained uncertain about God’s plan for his life and what happens when one fully surrenders to God. A life changing event led to Ben’s full surrender. Ben and Amanda had been invited to a friend’s wedding in Nashville. He planned to fly to Dallas to pick up Amanda and then catch a flight to Nashville. Severe weather and tornados delayed Ben in Texarkana. The airline informed the passengers of Ben’s flight they would have to sleep in Texarkana. Ben learned there was one last flight that would fly over the weather and approach Dallas from the north. He informed the airline that he had family in Dallas. If they allowed him on the flight, they would not have to pay for his hotel room in Texarkana. After a horrific flight through rough weather he arrived to find Amanda waiting for him in the airport’s tornado shelter and their flight to Nashville canceled. He returned to seminary at peace with his commitment to enter ministry, but lacked direction. Each semester the students would do a retreat of contemplation, study and private prayer with the Trappists Monks. It would have been an ideal opportunity to seek God for direction. Ben was not able to attend, so he locked himself in his apartment for a week with no telephone, internet, or TV intent on surrendering to God’s plan even if it meant foreign missions. Ben concluded his home made retreat knowing he was called to United States Missions. He entered his second year of seminary thinking he was called to be a Chi Alpha missionary. His focus shifted during a class on contextualized theology. The professor brought his students to St. Louis to assist in planting a church in the inner city. During his time in St. Louis the thought New Orleans needs what we are doing here kept coming to mind. That summer he interned at a small church and loved it. He returned to seminary with a desire to become a pastor. “I never said I was going to New Orleans. I just asked for prayer,” Ben replied. “We think this is God’s plan for us and for you,” his friends replied. At the next Bible study, Ben asked his over anxious friends for a six week commitment. They agreed not to talk about going to New Orleans, but to pray about it and then meet to see what God was saying to each of them. At the end of the pre-set time, they met for dinner. The message was unanimous. They would go to New Orleans to plant a holistic ministry that involved more than the spiritual aspect. As the ministry grew, they would start after school programs and health clinics. Ben and his church planting team are currently in their fourth year. In the video Ben explains how the plan is being fulfilled, and expresses confidence that God will be faithful to complete the good work he began in their lives. 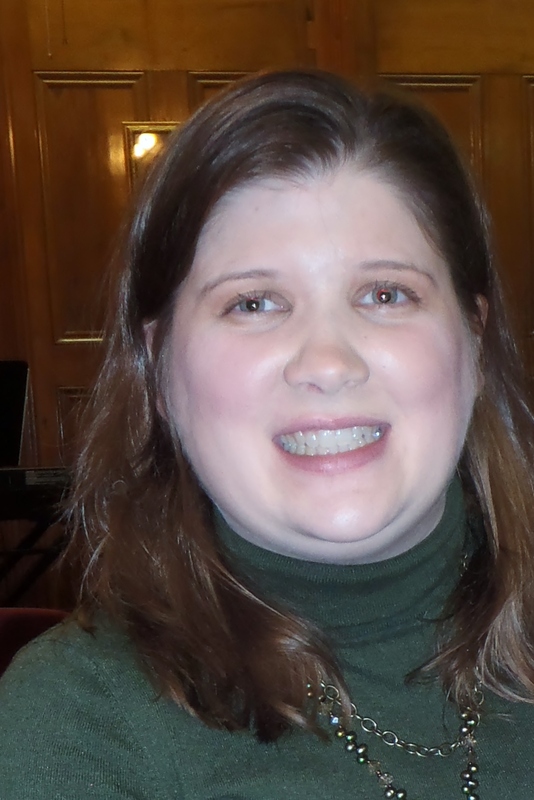 This entry was posted in Testimonies and tagged Abraham, Amanda Franklin, Assembly of God Theological Seminary, Baylor School of Law, Benjamin Franklin, Christianity, church, church plant, Glad Tidings Assembly of God, Highland Baptist Church, missionary, Missouri, New Orleans, non-denominational, Oneness, Pentecostal, prayer, Springfield, Teena Myers, tongues, trinity, water baptism. Bookmark the permalink.